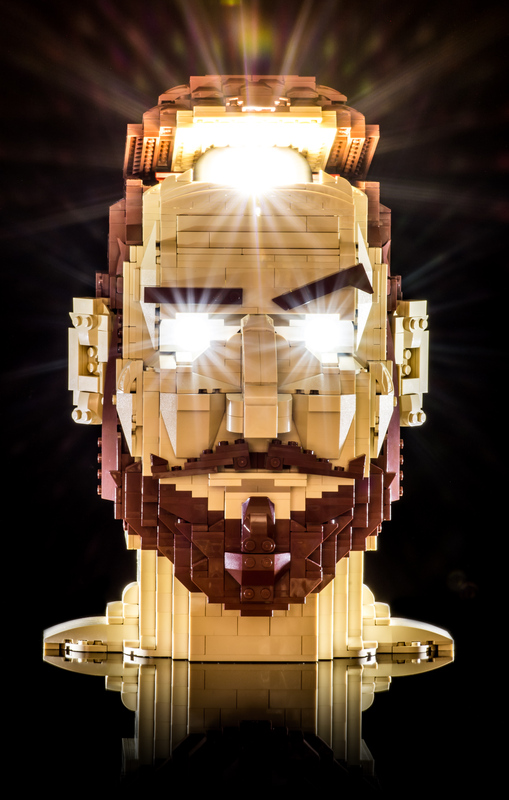 For this shot of my LEGO head sculpture, I used transparent dish pieces to create bright white light with the LEDs inside the eye sockets. Inside the top of the head is a small portable lantern, which also propped up the scalp. I used a slow shutter speed to create the powerful lens flare effects.